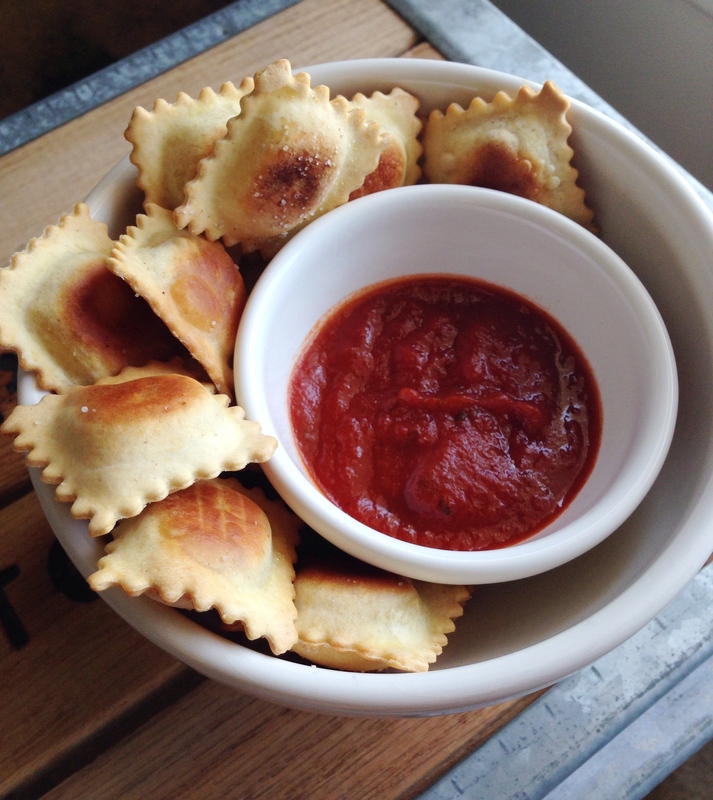 These toasted ravioli are my new favorite thing! They’re crispy, and delicious with a warm cheese filling… perfect for an appetizer or snack. We enjoyed these so much that I made them two days in a row. 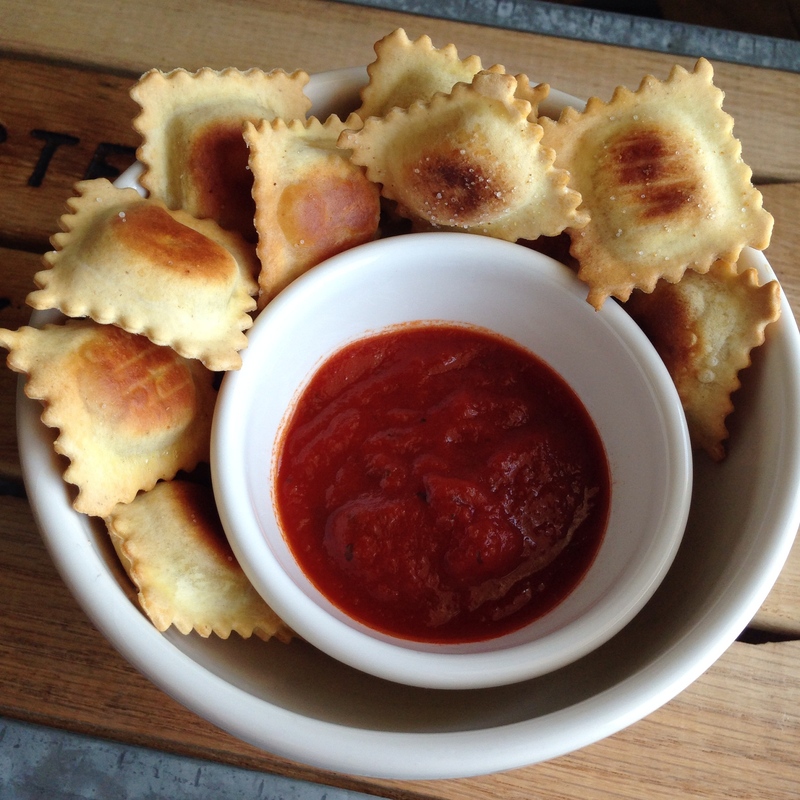 The second time I served these toasted ravioli with tomato soup, as a fun alternative to grilled cheese! 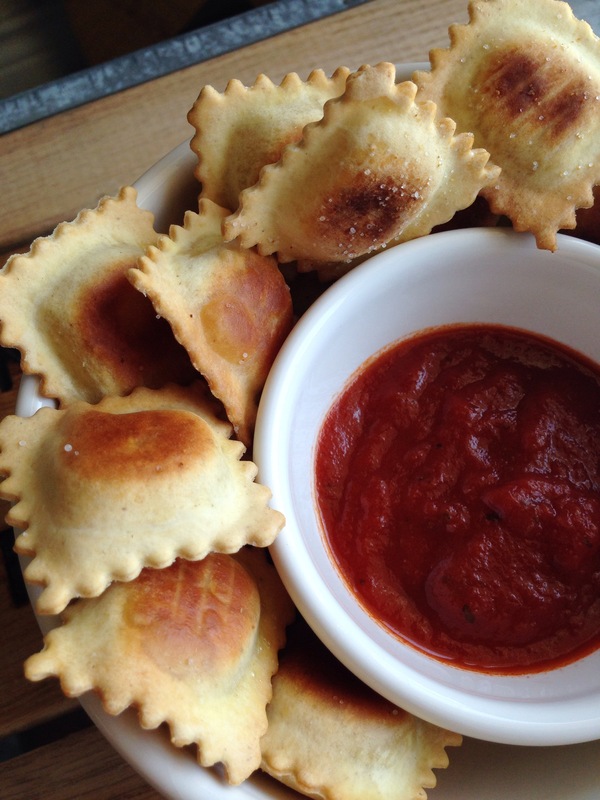 I’ve seen a simple toasted ravioli recipe bouncing around on Pinterest for quite some time. Vague directions are written under the pin, and the pin doesn’t actually link to the recipe. I decided to wing it and try using Buitoni ravioli from the refrigerated section. I’m sure that frozen ravioli would work as well, though you may need to extend the baking time. Preheat oven to 350. Lay ravioli out on a sheet pan. 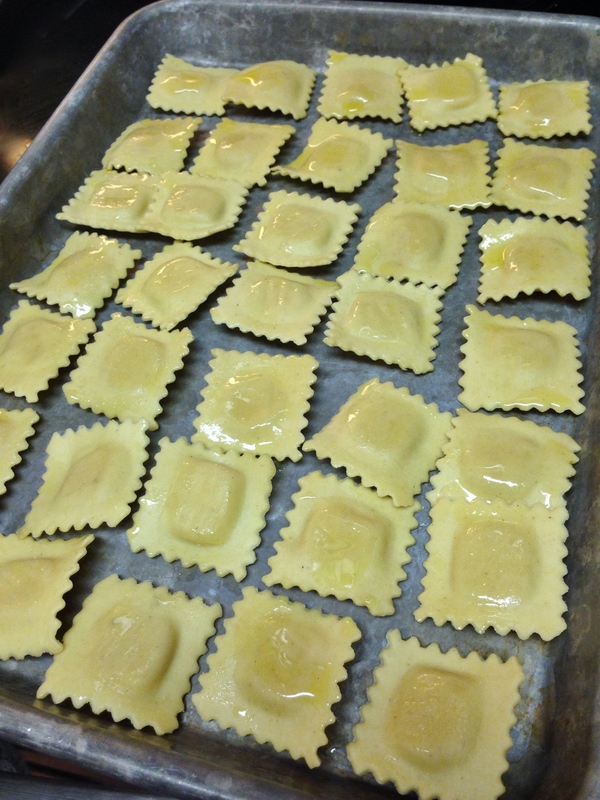 Brush both sides of ravioli with olive oil. Sprinkle with garlic salt (I found that a lot of it fell off, so you can give the ravioli a good coating). 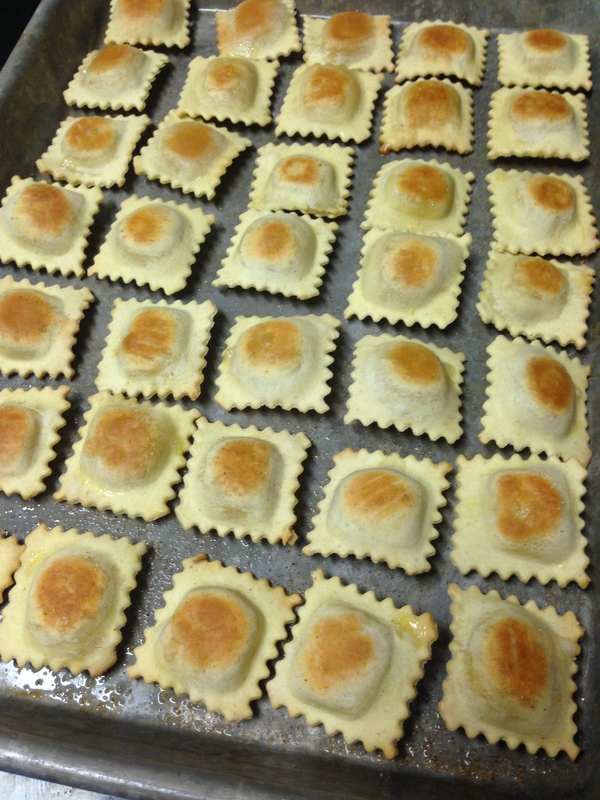 Bake for 8 minutes, flip ravioli and bake for 8 more minutes. Serve right away! SO easy! I’ll have to try these sometime. Let me know if you like them! These look great for a quick snack or an appetizer. Thanks for sharing. They’re easy to keep on hand too, great for last minute meals or get-togethers! Something I keep meaning to try, thanks for sharing! They’re really so good, you should try them!